Contributors: Amanda Gouws, Benjamin Roberts, Jarè Struwig, Arlene Grossberg, Janine Hicks, Imraan Buccus, Lisa Vetten, Alexandra Leisegang, David Mandiyanike, Sofonea Shale, Carla Ackerman. Key terms: Women, Local Government, Elections, South Africa, Electoral Commission, Gender Differences, Electoral Participation, Equality, Mainstreaming, Political Parties, Manifestos, Candidate Lists, Municipal, Planning, Violence, Marginalised, Majority, Zimbabwe, Transforming, Roles, Lesotho, Quotas, Rights-Based, Development, Service Delivery. Advocate Pansy Tlakula, South Africa's Independent Electoral Commission chairperson answers some questions about the IEC, about women in politics and about issues of local government. Amanda Gouws is Professor of Political Science at the University of Stellenbosch, specialising in South African politics and gender politics. She holds a PhD from the University of Illinois. Her research focuses on women and citizenship, the National Gender Machinery and representation. She edited (Un)Thinking Citizenship: Feminist Debates in Contemporary South Africa (UK: Ashgate and Cape Town: Juta, 2005). In 2007 she was the Edith Keeger Wolf Distinguished Visiting Professor at Northwestern University, USA. In 2011 she was selected as a Fellow of the Rockefeller Foundation Center in Bellagio, Italy, where she worked on a book on the women's movement in South Africa. She is currently a commissioner with the South African Commission for Gender Equality. Benjamin Roberts is Research Specialist in the Democracy, Governance and Service Delivery Research Programme and coordinator of the South African Social Attitudes Survey at the Human Sciences Research Programme. Jarè Struwig is Senior Research Manager in the Democracy, Governance and Service Delivery Research Programme and coordinator of the South African Social Attitudes Survey at the Human Sciences Research Programme. Arlene Grossberg is Manager of Convening Policy and Dialogue Forum in the Research Use and Impact Assessment unit at the Human Sciences Research Programme. 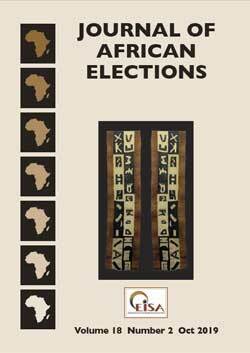 ABSTRACT: Despite a sizeable body of literature on the extent and nature of gender differences in electoral participation in developed countries there is limited evidence for developing countries such as South Africa. This study employs data from two nationally representative surveys, namely the 2010 Voter Participation Survey and the 2011 Election Satisfaction Survey, to investigate the relative importance of factors associated with voting decisions among men and women. The article specifically considers cultural modernisation and rational choice accounts of voter turnout. On average, we find more similarity than difference between women and men. Multivariate analysis shows that political efficacy, political interest and a history of voting were common significant determinants of intention to vote in municipal elections, though a sense of a duty to vote, satisfaction with service delivery and political knowledge were important for women exclusively. Political orientation emerges as more important for electoral abstinence than administrative and ther individual barriers, again with little discernible gender variation. The results highlight the importance of civic education initiatives and improved responsiveness of elected officials in meeting the needs of women and men. Continued investment is also required to consolidate recent gains in electoral administration and ensure that the benefits of voting continue to outweigh the costs. Sustained turnout levels in future municipal elections are likely to be determined by the success of such interventions. Janine Hicks is a commissioner with the South African Commission for Gender Equality and former founding director of the Centre for Public Participation. She holds an MA from the University of Sussex and an LLB from the former University of Natal, Durban. She is chairperson of the boards of directors of Agenda Feminist Media and the Community Law and Rural Development Centre and serves on the Volume 11 No 2 141 board of trustees of The Valley Trust. She has published numerous articles on public participation and governance. Imraan Buccus is Research Fellow in the School of Social Sciences (Political Science) at the University of KwaZulu-Natal and Academic Director of the School for International Training, a study-abroad programme focused on social and political transformation in South Africa. He has published widely, in academic journals and book chapters, in the area of participatory democracy, poverty and civil society. Buccus was Open Society Foundation Media Fellow in 2006 and a Ford Foundation PhD Fellow from 2007-2010. He is the former editor of Critical Dialogue, a journal of public participation in review, and is a columnist for the Mercury, a popular morning newspaper in Durban. ABSTRACT: Women's representation and participation in political parties and governance processes require examination. South Africa is a signatory of the 2008 SADC Protocol on Gender and Development, which commits member states to put in place measures to bring about 50% representation for women in decision-making positions by 2015. This article draws on research findings and interventions undertaken by the South African Commission for Gender Equality (CGE) to raise issues relating to gender equality, women's political representation and municipal gender mainstreaming and service delivery in relation to the May 2011 local government elections in South Africa. CGE research findings include an analysis of political party lists in terms of women's representation, the gender mainstreaming in a sample of political party manifestos and an analysis of gender mainstreaming in a sample of municipal integrated development plans (IDPs). The CGE enquiry focuses on the extent to which the gendered needs of communities, and constitutional and legislative prescripts, inform and are prioritised in these IDPs. The CGE's interest centres on the gendered aspects of poverty, inequality and local social and economic development. CGE research points to poor representation of women in positions of leadership, despite the country's commitment to the 2015 protocol. In addition, there is evidence of gender insensitivity and a lack of gender transformation within political parties and inadequate internal policies and programmes to promote and support women and address issues such as sexual harassment. Recommendations point to the need for legislation on the 50% quota to compel parties to enact measures to encourage and promote women's participation and leadership and ensure their equitable representation on party lists. Lisa Vetten was, until recently, Executive Director of the Tshwaranang Legal Advocacy Centre to End Violence Against Women, a non-profit organisation based in Johannesburg. She has been active in the violence against women sector since 1991, working at various times as a counsellor, trainer, researcher and policy analyst. Vetten, who has written extensively on this topic, is a member of the interim council of the National Council on Gender Based Violence established by the Ministry for Women, Children and People with Disabilities. Alexandra Leisegang completed her BA Hons in Political Studies at the University of the Witwatersrand in 2008. She then did a master's degree in Migration Studies at the University of Sussex, focusing on the legal and policy aspects of migration as well as national identity and citizenship. She worked for Tshwaranang Legal Advocacy Centre and is now a research consultant in the gender sector. ABSTRACT: The high incidence of gender-based violence (GBV) in South Africa, as well as its serious consequences, makes such violence a matter of central policy concern to women. Local government programmes provide ample scope for intervening in GBV. But to what extent do political parties recognise this local-level role? To explore this question the authors analysed the manifestos of seven political parties released prior to South Africa's 2011 local government elections, finding that, overall, parties offered few concrete and specific proposals for addressing GBV. The thinness of the manifestos, it is argued, illustrates the fact that the mere presence of women in political parties does not, in and of itself, automatically result in policies with gender content. In this context, mandating quotas only ensures that large numbers of female politicians are now championing gender-blind policies. Ultimately, attention must be paid both to parties' policies and to their quota of women politicians if meaningful change to women's lives is to be effected. David Mandiyanike, currently a lecturer in the Department of Political and Administrative Studies at the University of Botswana, has taught at universities in Zimbabwe, South Africa and the United Kingdom. He worked in Zimbabwe's local authorities for 12 years, his final position being chief executive officer. His direct research interests are in governance, women's involvement in politics, especially at local government level, and migration and development. ABSTRACT: Much has been written about gender and the involvement of women in politics, and convention upon convention has been written to address gender inequalities. But hitherto, in Africa, it has all been much ado about nothing. In Zimbabwe, and indeed many other countries, local government elections are open for all to vote and be voted into office, but the superstructure militates against the free participation of women in these elections. This article examines the limited participation of women in local government elections and decision making, as evidenced by the fact that only 2.76% of councillors elected in 1998 were women and 13.25% in the 2008 local council elections. Sadly, the upper echelons of political power have remained a remarkably resilient bastion of male exclusivity and efforts undertaken to redress the gender imbalance have been superficial. This article juxtaposes these efforts with Zimbabwe's Rural District Councils Capacity Building Programme (RDCCBP), which used a holistic approach to institutional development but failed to address the unequal gender relations in the rural district councils (RDCs). As the major targets of RDC policies, women were coerced into submission. The article argues that where women constitute more than half of the voting population it is in the interests of democratic and egalitarian principles that they should be represented in proportion to their numbers (that is, descriptive representation). Women have a stake and an interest in politics. The political violence seen during the elections strongly militates against the free participation of women. Using the case of Zimbabwe's RDCs I argue that peaceful elections and the unequal gender relations should be at the heart of any capacity-building effort for meaningful and sustainable institutions. Sofonea Shale is the coordinator of Development for Peace Education in Lesotho. He holds a BSocSc in Human and Societal Dynamics, a BA Hons in Political Science (International Relations), an MA in Development Studies and an MA in Conflict Management and Peace Studies. In 1998 he was appointed by the King of Lesotho, acting on the advice of the Council of State, to be a member of the Senate, the Upper House of Parliament of the Kingdom of Lesotho, a position he held until 2002. He has taken up youth issues and has initiated strategies such as a youth parliament, a national community parliament (which provides communities with an opportunity to make suggestions to the Minister of Finance on the national budget) and a peoples' tribunal, through which ordinary members of the community make their input into proposed pieces of legislation. ABSTRACT: Lesotho introduced a quota for women in local government in 2005 amid different interpretations of the concept and the general preparations for elections. The phase II era of decentralisation, after the quota for women was introduced, was marked by the October 2011 local government elections. In both instances a deliberate effort was made to reserve one-third representation for women, though each time in a different way. This article analyses the way in which the government's efforts to use a legal framework to challenge traditional and patriarchal tendencies have evolved. It argues that while the introduction of a quota is a good development it was not properly institutionalised in 2005, nor have the changes introduced in 2011 improved the situation. The article argues that insufficient dialogue has led the government and civil society to miss a valuable opportunity to use a women's quota in local government to change women's political, social and economic status. Carla Ackerman has worked with rights-based concerns - with a specific focus on gender equality and mainstreaming as a strategy - in the public sector for the past 15 years. As an independent consultant she continues to facilitate gender transformation through material development, training and capacity building, research, process facilitation and dialogue with a range of national, provincial and local government role players. She also acts as Coordinator: Strategic Direction & Programme Development for the Unit for Human Rights Mainstreaming & Capacity Building, located in the Department of Political Science at Stellenbosch University. Currently, she drives the development of human rights scenarios for the Western Cape province, a process initiated by the unit. Against the backdrop of developmental local government, what is the mandate of local government as far as gender equality and women's empowerment are concerned? Taking into account the survey results, what does a rights-based approach to local government mean? If local government does not, at present, adequately address the gender equality concerns of women as a group, what do we need to do differently to see different results?